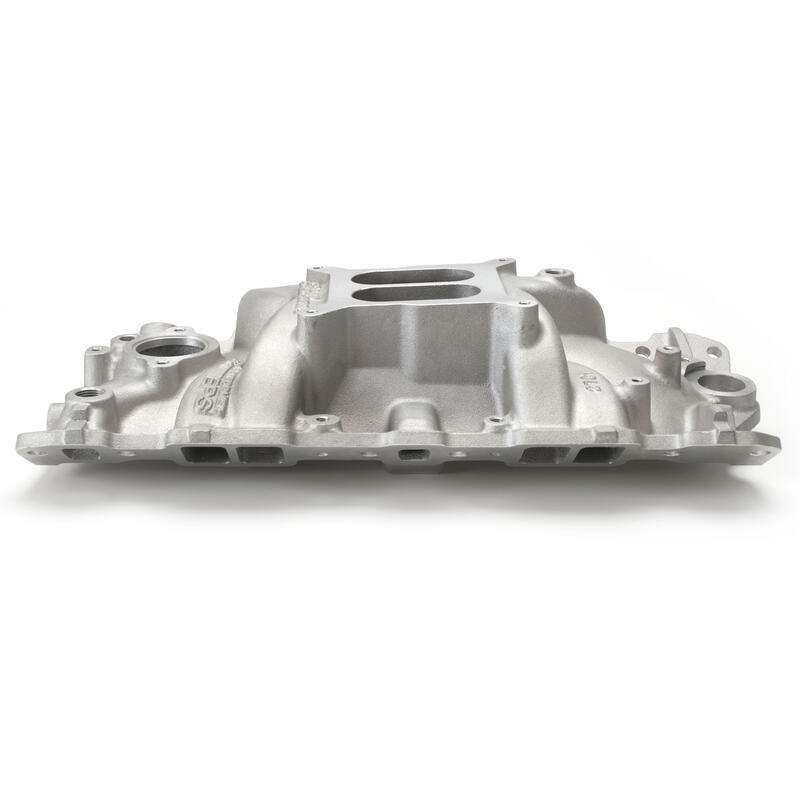 Designed for 1986 and earlier 262-400 cubic-inch Chevys, the Performer EPS dual-plane intake manifold is optimized to deliver superior performance with Edelbrock square-bore Performer Series or Thunder Series AVS carburetors. 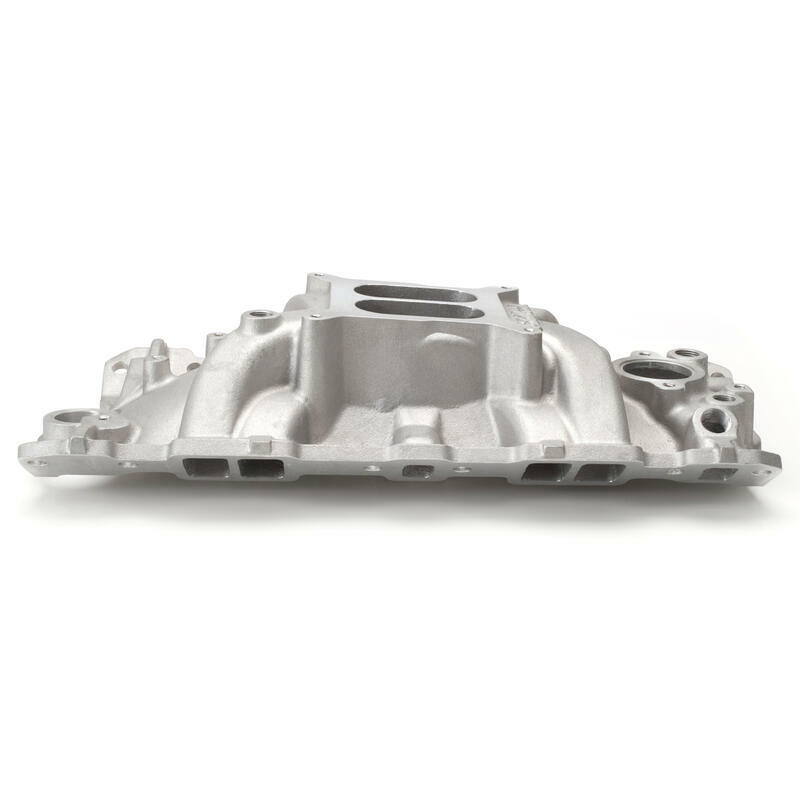 This small-block Chevy manifold has a runner design that's tuned for peak torque at 3500 rpm on a 350-inch engine and its ideal for power from off-idle to 5500 rpm. Dyno tests showed gains of 5 hp and 9 ft-lbs. 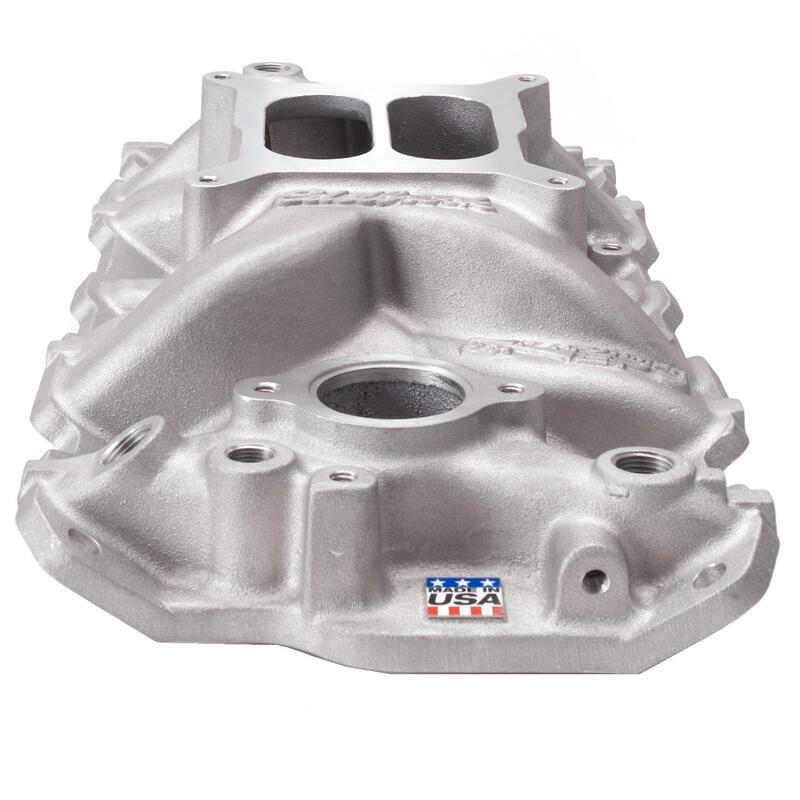 of torque over the Edelbrock Performer manifold #2101 on a 350 Chevy. From 3000 to 4500 rpm, the increases averaged 5+ ft-lbs. of torque for more performance where you need it most. 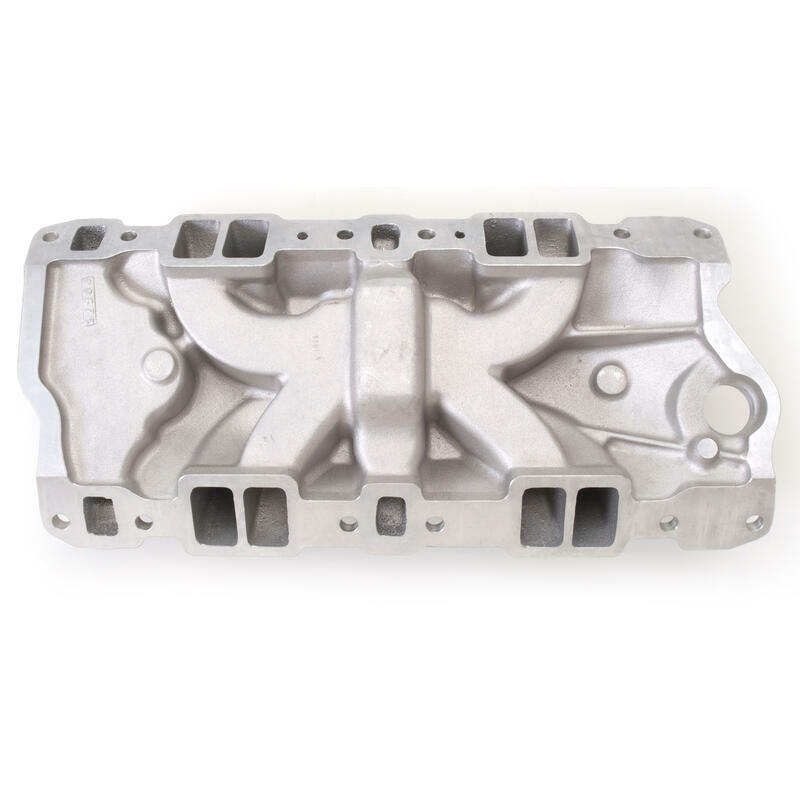 Performer EPS manifold #2703 combines a modern runner design with a front mounted oil fill tube for those who want the vintage look of our Classic valve covers with no breathers. #2703 has the same performance features as the Performer EPS #2701. Includes Oil Fill Tube (not installed) and matching push-in breather cap. The Oil Fill Tube and Breather are also available separately as #4803. 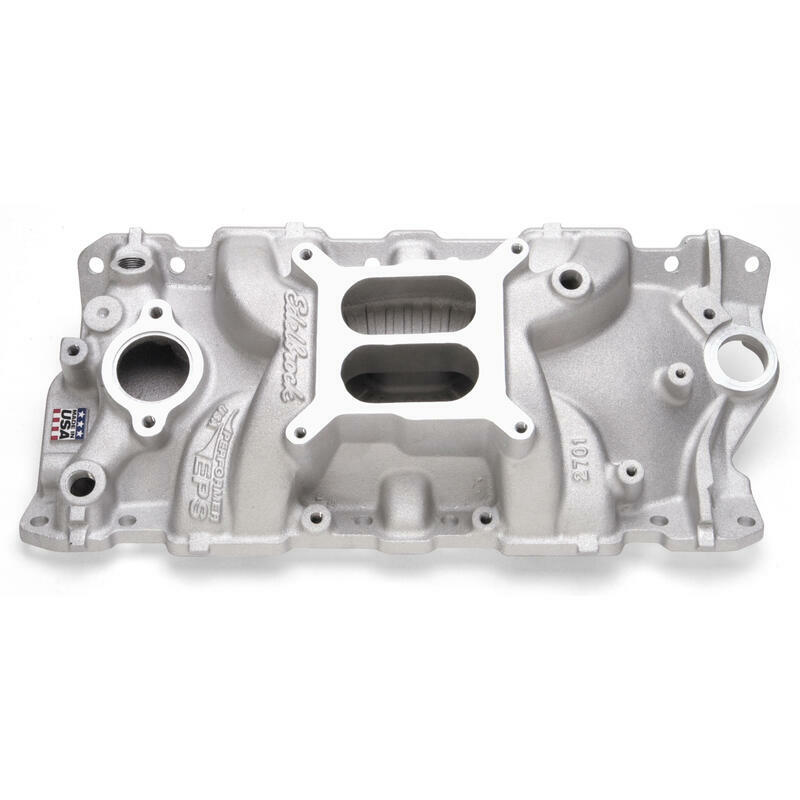 Match with a dependable Edelbrock square-bore carburetor for maximum performance gains. Also available with choice of four finishes. Will not fit under stock Corvette hood. 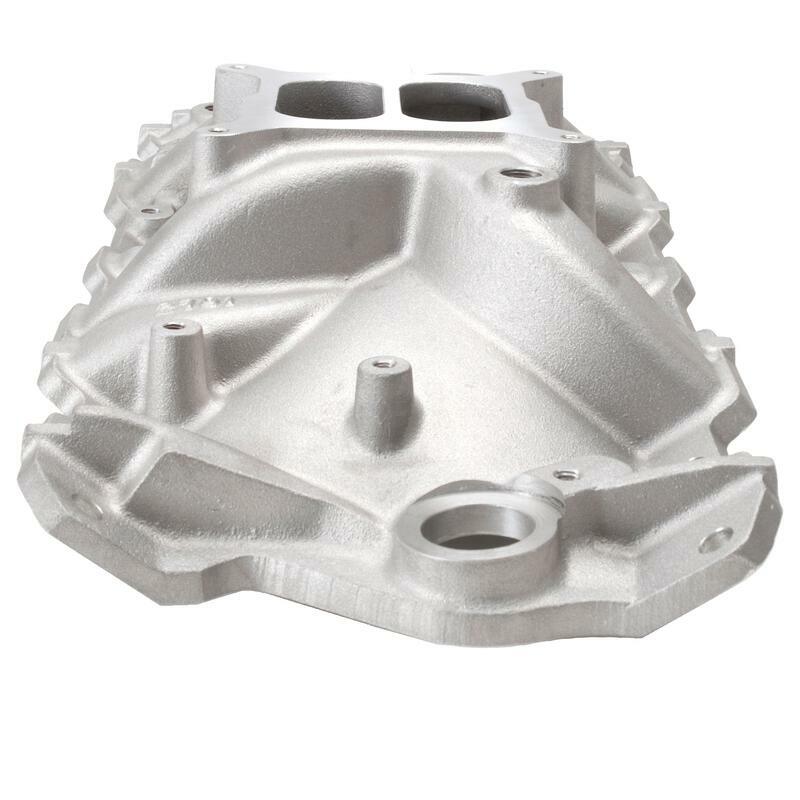 Also available with polished, black or EnduraShine finish.